Do you know how the term “hog wild” came into being? Pigs living in colonial times were so prolific they ran “hog wild” in marauding bands through the streets and fields of settlements from Massachusetts to Virginia, not only vandalizing property but creating diplomatic problems with local Indian tribes. Dutch doors were invented by New Yorker’s to keep the pigs out while letting in fresh air. The humble porker is sometimes maligned in our language with phrases such as male chauvinist pig, in a pig’s eye, and, what a pigsty! On the other hand, we also have the charming Miss Piggy, Porky Pig, pigs-in-a-blanket, and Piggly Wiggly stores. However you view pigs, there is no denying they have penetrated our language and popular culture. 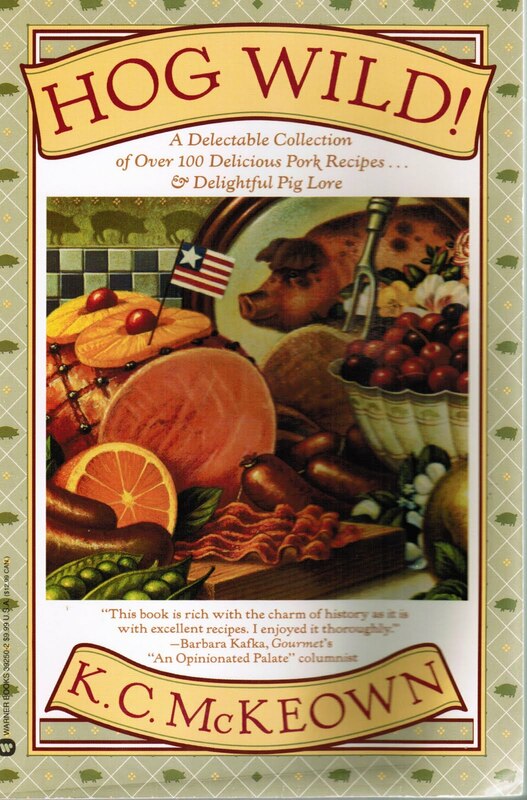 This cookbook is a delectable collection of fabulous pork recipes and interesting facts of pig lore. The author explains every cut of pork and how to cook it properly. The “other white meat” is trimmer and leaner, and is lower in fat and cholesterol than some other meats, sometimes even seafoods. Pork can accommodate a diverse range of flavors and spices, and lends itself to all kinds of cooking methods. You can make a quick and easy stir fry, or slowly barbecue some succulent ribs. 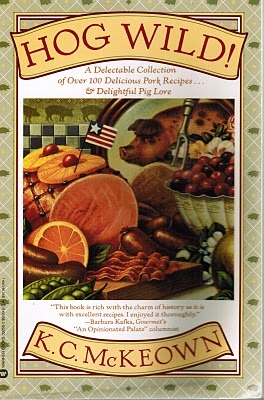 The cookbook includes soups, appetizers, one pot meals, sausages, ground pork, chops, cutlets, ham, and roasts, along with accompaniments such as corn cakes, cornbread stuffing, potato pancakes, and some great barbecue sauces. Any pork lover will want this cookbook. So go whole hog, pig out, and eat high on the hog! If you watch the Food Network and enjoy Guy Fieri, you know he loves to cook with pork. He loves it so much, that he held a contest to find “America’s Pork Personality.” The contest was held in New York City last fall, and my daughter, Kristina, was the lucky one who won the contest, with a prize of $5,000 and a new grill. It was such a fun contest, and Guy was the greatest. The picture below shows Kristina just as Guy announced her as the winner. It is one of my favorite photos of her. Also, click here to watch the competition and the winning moment. One Response to Hog Wild! And How my Daughter Became a "Pork Personality"
I believe in living high on the hog. What an interesting cookbook and congrats to your daughter for winning the contest!